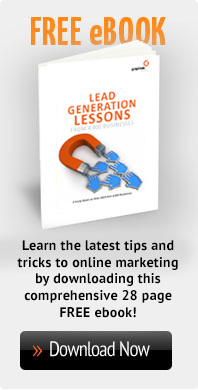 Need Help With Your Website or Online Marketing? 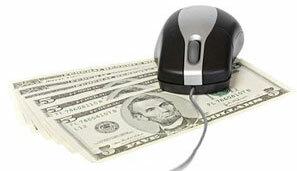 Make Pay Per Click (PPC) and organic search part of your Internet marketing plan! There was a time, not too long ago, when searching locally for specific products or services involved flipping through the phone book. Electricians, plumbers, tango classes, language tutors, piano lessons – you name it – we all used to “let our fingers do the walking.” For better or worse, those days are gone. When consumers look for products or services today, a staggeringly high percentage of them go directly to Google, Bing, Yahoo or any other major Internet search engine to find what they’re looking for within a specific geographic location. Business owners that fail to react to this trend will inevitably experience a significant loss in telephone inquiries and/or sales. Graphtek Interactive is fully aware of that in today’s global marketplace, businesses need to use a combination of organic and paid search techniques to stay competitive within their local communities. Luckily for our clients, Graphtek Interactive provides the guidance and services necessary to optimize local organic search initiatives and establish/manage paid local Internet marketing programs – all of which can maximize exposure within a geographically defined area. The best part…you’re in control of how much you want to spend on any given PPC campaign! You set your PPC budget and we can adjust your spending allocation to add more weight to the most effective keywords. Graphtek Interactive can also help you create Internet banner ads to augment your PPC campaign. By embedding your banner ads within the content relevant pages of other websites, increase your brand’s online visibility while targeting a specific geographic region. Let Graphtek Interactive help you establish Pay Per Click (PPC) campaigns, other paid inclusion services and optimize your organic search rankings. Contact Graphtek Interactive today to schedule your no-obligation consultation or call us now at (760) 341-4583.